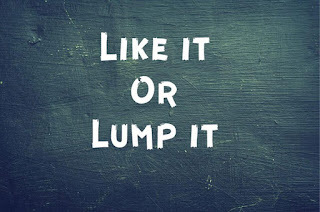 "Like it or lump it": To accept or tolerate a disagreeable situation whether one likes it or not. Example: We're going to have leftovers for supper and you're just going to have to like it or lump it. I used this phrase this weekend. Actually, I used the exact example that I shared above. My son had asked, not even 15 minutes after finishing Easter lunch, what we'd be having for supper. He is 15 so food is constantly on his mind. He earns that honest! He wasn't too happy to hear that he would be looking at the same food choices again but, he just had to like it or lump it. 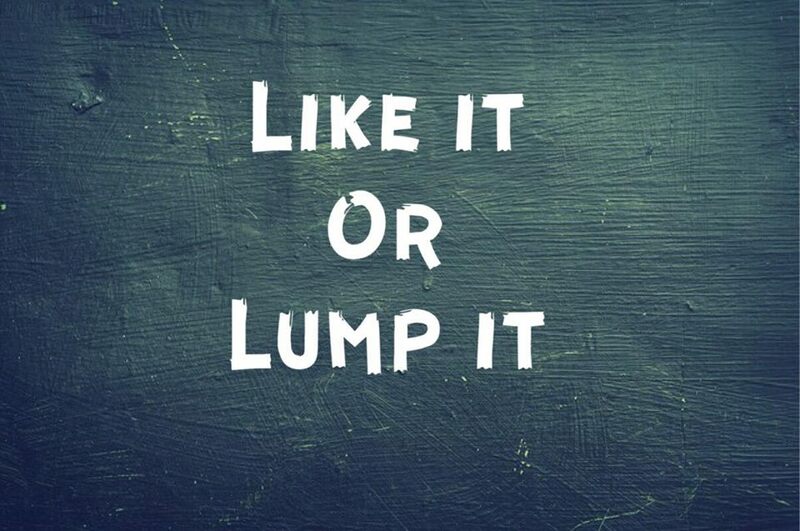 I asked him if he knew what like it or lump it meant and he said, "I can either like it or like it." Ha, pretty much. I found some conflicting information as I was researching the origins of this phrase. Some sources claimed it originated in England while others said Ireland. I also found that in Northern English, "lump" as a verb also means carry, especially something heavy - so you can like it or have to carry it anyway. No matter where it started, it definitely made it's way to Appalachia. This was the "go-to" phrase for my parents and grandparents whenever there was something that I complained about. Looks like the phrase will hold up well for at least another generation. Have you ever heard or said this phrase?